In 2016, marketing budgets that include Facebook spend are commonplace but with another significant drop in organic reach, it’s important that marketers have a basic understanding of what Facebook’s News Feed algorithm is and how it works. Perhaps unsurprisingly, when Facebook launched its first iteration of News Feed – all the way back in 2006 – the algorithm was actually fairly simple. The News Feed basically attributed points to a story depending upon what type of post was being shared. Therefore, a status update with just text might have been worth one point, a link could have been worth two points and a post that combined text, a link and an image might have been worth three points. 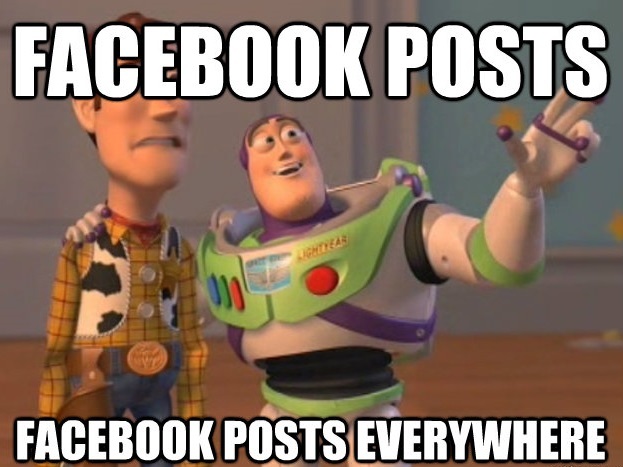 Facebook would then decide the prominence of that post by multiplying the value of it i.e. 1, 2 or 3 by the number of people who interacted with it. 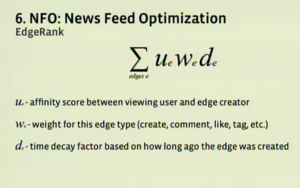 As Facebook evolved, so too did its News Feed, and EdgeRank refined Facebook’s algorithm by determining what posts populated a users News Feed. This evolution was implemented to prevent users from being overwhelmed by content, with Facebook assigning a value to each and every possible type of story. 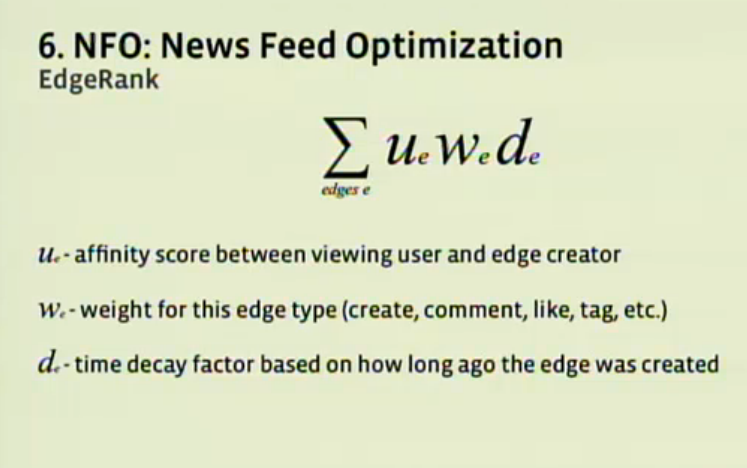 EdgeRank assessed three things when determining the prominence of a post in a user’s News Feed: Affinity Score, Edge Weight and Time Decay. Affinity Score analysed the relationship between the user and the page or friend that had created a story. So if a user frequently interacted with the person posting, had several mutual friends, or were related, Facebook would assign that content with a higher score. Edge Weight determined the value of a story. 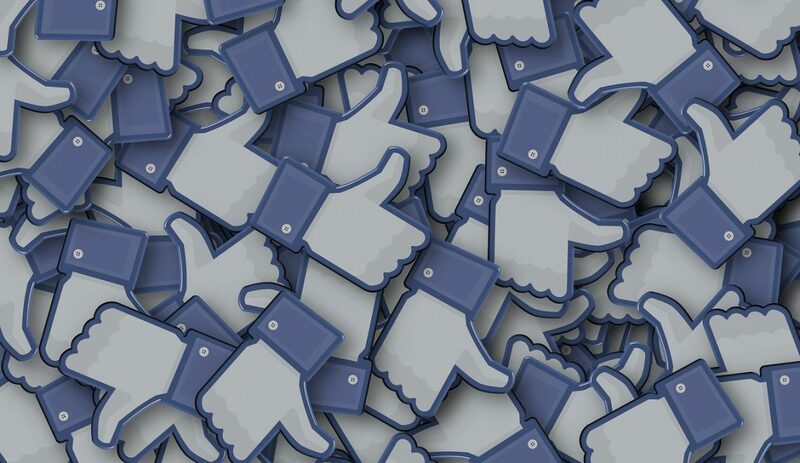 Facebook’s algorithm favours content rich media, so dependent upon whether a story was a status update, an image or a comment on another person’s post contributed to its position in the News Feed. Time Decay analysed the age of a story. As posts got older, it was more likely that it had already been seen or that it was no longer as relevant. Time Decay remedied this factor by taking into account the age of a post. Whilst Facebook’s algorithm is far more complex today, these factors are all still very important in the current build. Today, Facebook’s News Feed algorithm incorporates machine learning and is far more complex than it has ever been, allegedly using more than 100,000 different factors to determine what features in a user’s News Feed. Unlike the News Feeds’ previous iterations, which assigned point values to post formats, the current algorithm adapts to an individual’s preferences. So if you only ever interact with video content in your News Feed, then over time Facebook’s algorithm will identify that and focus on showing you more of the same content. Unless – and I very much doubt this – Facebook steps forward and reveals the exact workings of its current iteration, a lot of the musings you’ll read are based on what we already know and assumptions. But Facebook’s goal is relatively transparent – even if their methods aren’t. It does sound cool but that doesn’t negate the fact that we’re all – too a degree – in the dark when it comes to Facebook’s News Feed algorithm.